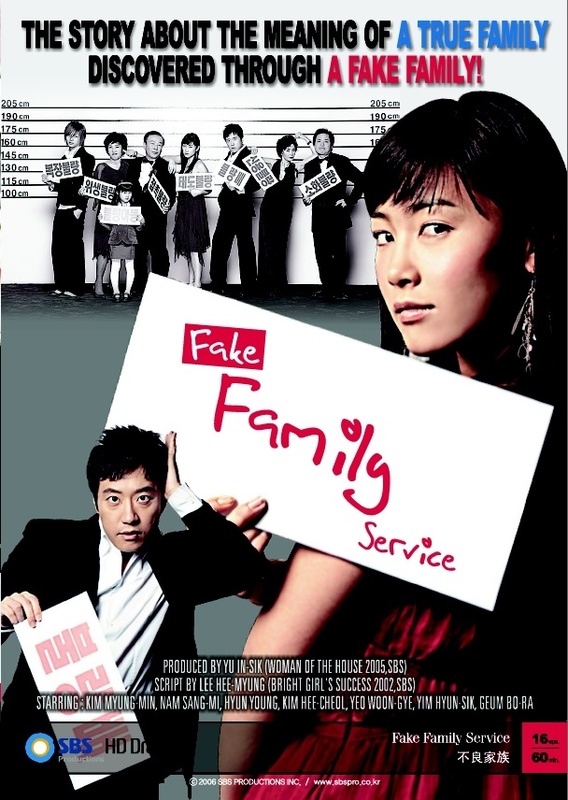 Dal-gun (Kim Myung-min) runs an agency that provides fake guests to weddings for clients who doesn't have many friends or relatives to attend their weddings. One of his clients gets into a traffic accident, which killed everyone in the bus but a nine-year-old girl named Na-rim. Desperate to get paid for his service, Dal-gun asks the client's family lawyer Mr. Hwang to make the payment and he realizes that only few people came to the funeral. He offers his service to Mr. Hwang and successfully provides fake mourners to the funeral. The only survivor of the accident, Na-rim is traumatized by the accident and suffers from amnesia and speech impairment. Her doctor says she shouldn't be exposed to any more shock and they need to help her remember the happy family she once had. Mr. Hwang recalls that Dal-gun also provides 'fake family' service and asks Dal-gun to make a happy family for Na-rim. Dal-gun auditions and picks five members of the family and he takes the roll of Na-rim's uncle. However, to meet the date of Na-rim's release from the hospital, he picks Yang-ah(Nam Sang-mi), who lied that she was a college student as Na-rim's sister without any verification of her background. Dal-gun recognizes Yang-ah to be the part timer who once ruined his work as she got caught stealing food from the wedding reception but he doesn't have any choice but to hire her again. Kimmy Apr 08 2017 9:34 am I remember that I used to absent from school just to see this drama. I love it and have watched it twice already. Clarkdale44 Dec 28 2013 5:11 pm Outstanding drama... I am impressed, the feeling of having a family and the importance of them is all this show is about. I really liked it.This show was more of a family drama then any normal romance, still it was far better than any other usual drama. Casting was OK overall for all the members of family but i found Kim Myung-Min's acting somewhat weak for this role. Still he managed to improve throughout the series. Don't read further if you have yet to watch the last episode. The chemistry between Yang-Ah and Dal-Kyeon is not so great but i didn't get annoyed by that as this drama is focused more on family importance rather than romance. I feel bad for Bu-Kyeong and Tae-Kyeong who are having feelings for the main leads, still its a happy ending i am glad. runa Oct 03 2012 4:08 am Aaah the nostalgia! What a great feel-good series this was. Gasenadi Feb 21 2012 8:00 pm This is the first drama I've purchased (from Amazon, used, good condition). SBS got the episodes taken down on the internet. This was so very good I had to see what happened next. As Fatemeh says, The Guru, Kim Myung Min, demonstrates why he holds that title. And Nam Sang-Mi reminded me of Kim Sun-ah. Enjoy! Butterflyjoe May 06 2010 3:51 am One of my all time favorite K-Dramas with the very beautiful Nam Sang-Mi.... Does anyone know where I can buy the dvds for this Drama, I saw some on ebay but I didn't really trust the sellers, it looked like a bootleg, so please if anyone knows, I would really appreciate it, thanks? Fatemeh Feb 21 2010 2:07 pm I never thought of Kim Myung Min as a comedy actor but his fabulous performance in this drama made me belive in him as an actor with fantastically diverse skills.